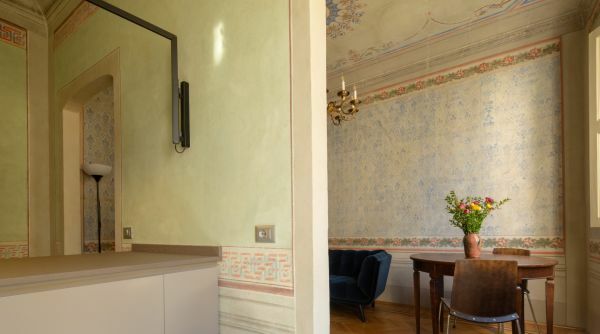 Romantic Laura is the perfect apartment for a couple visiting Florence, its elegant and classy rooms, the numerous comforts and the central location will make your stay unforgettable! 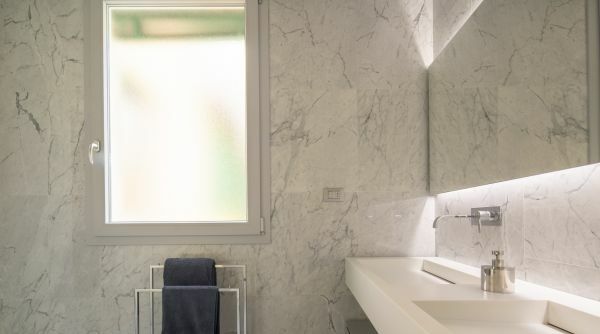 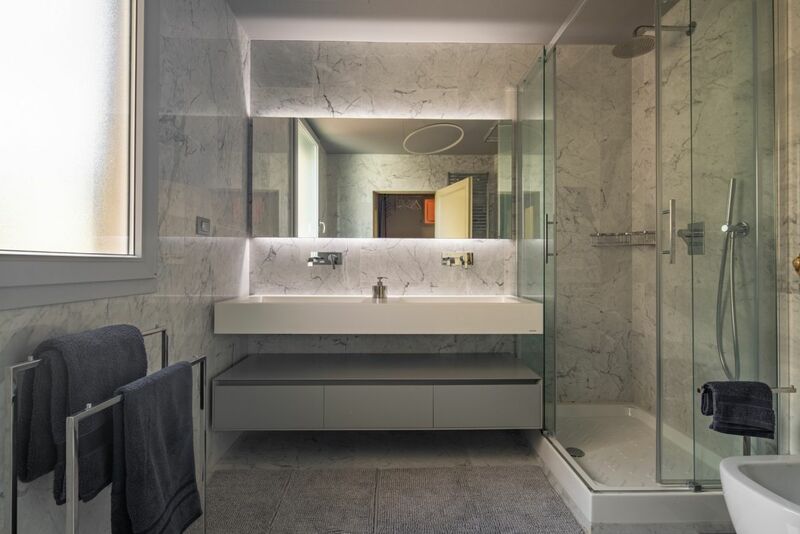 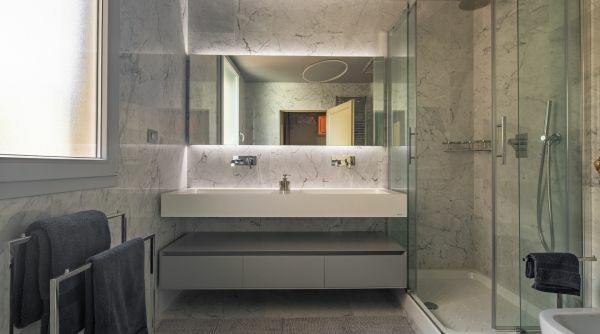 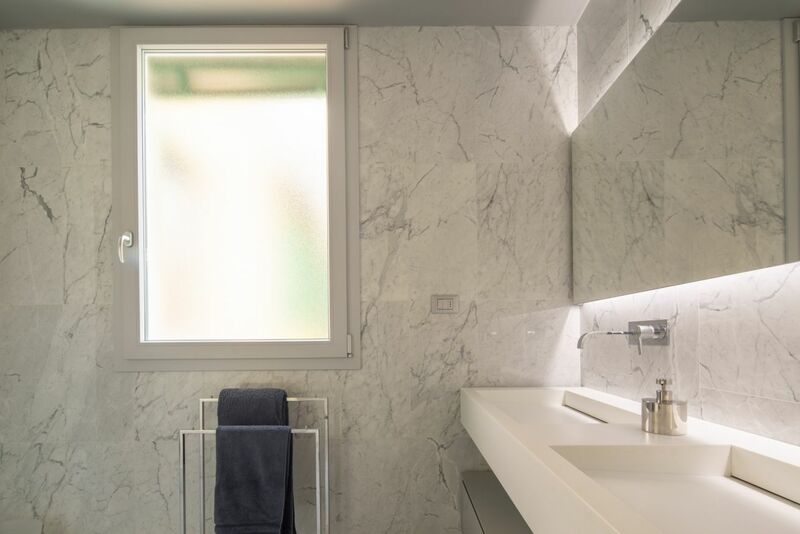 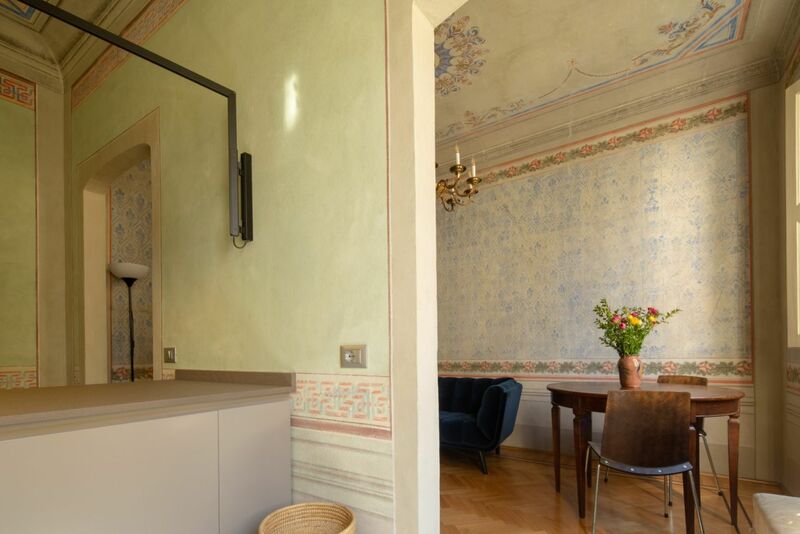 The apartment consists of a beautiful double bedroom, a bright living room, a well-equipped kitchen and a very modern full bathroom with shower. 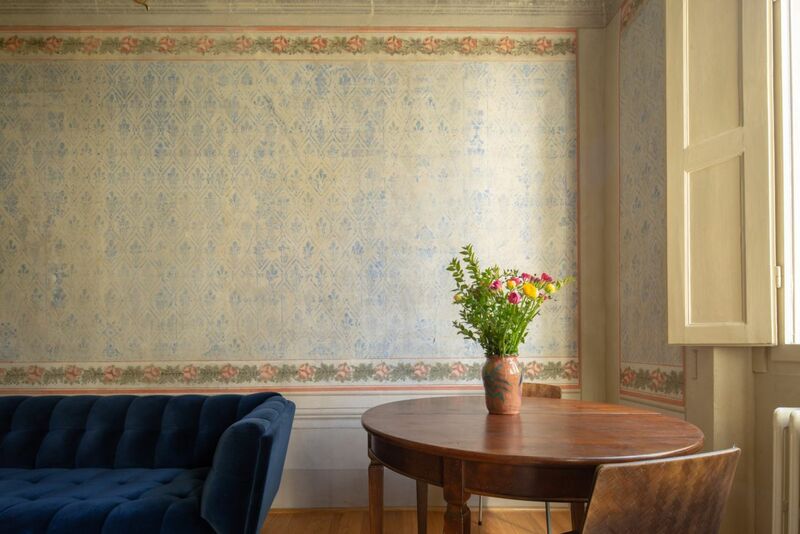 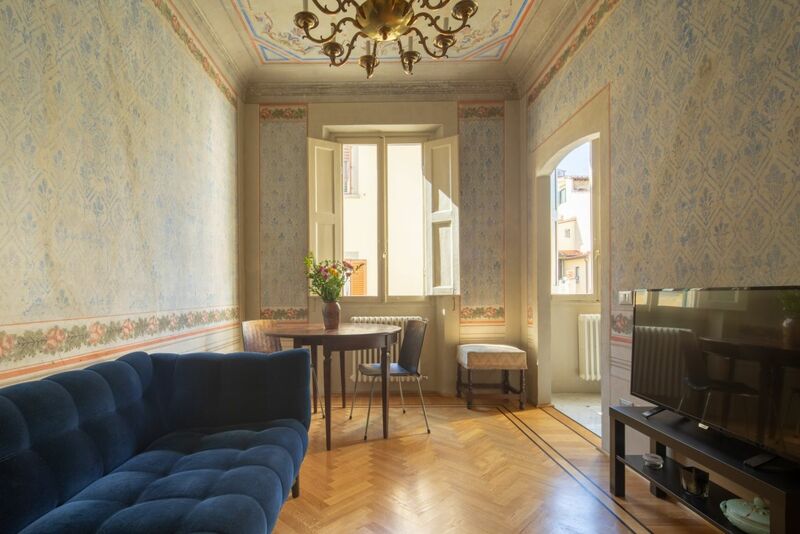 A beautiful house with parquet floors and frescoed walls that combines a classic taste with all the comforts needed for a relaxing holiday. 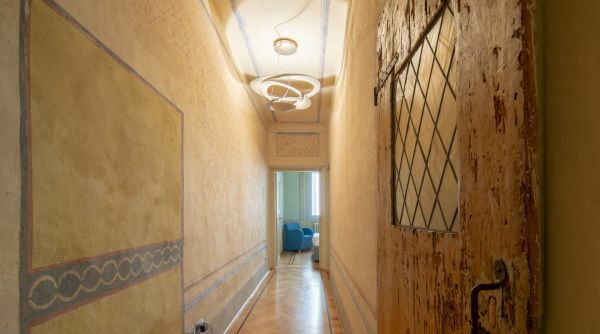 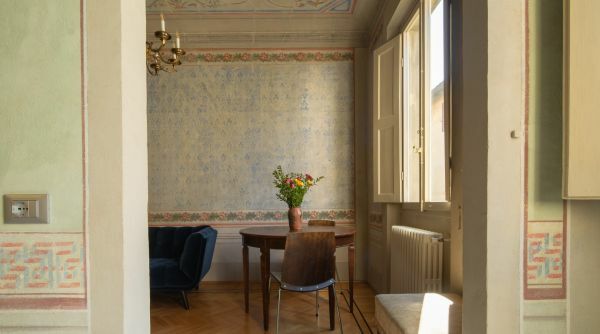 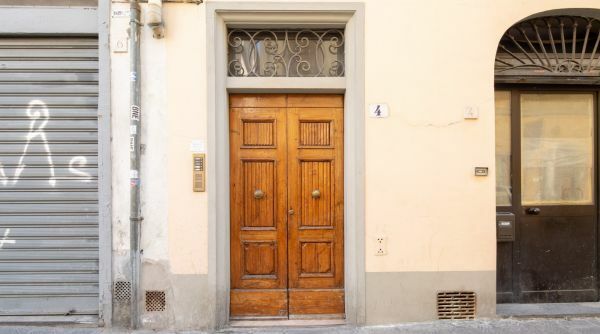 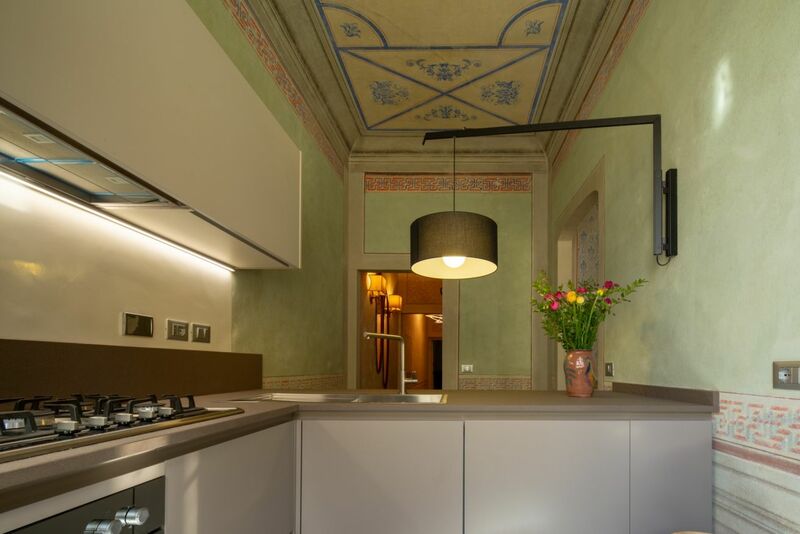 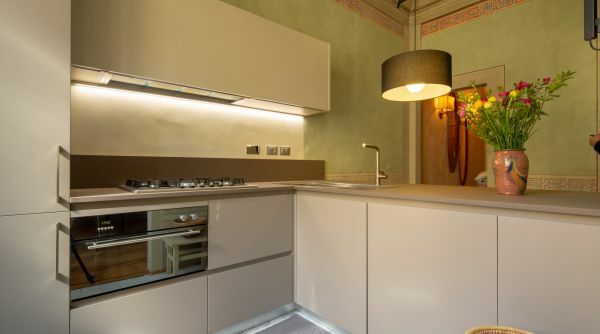 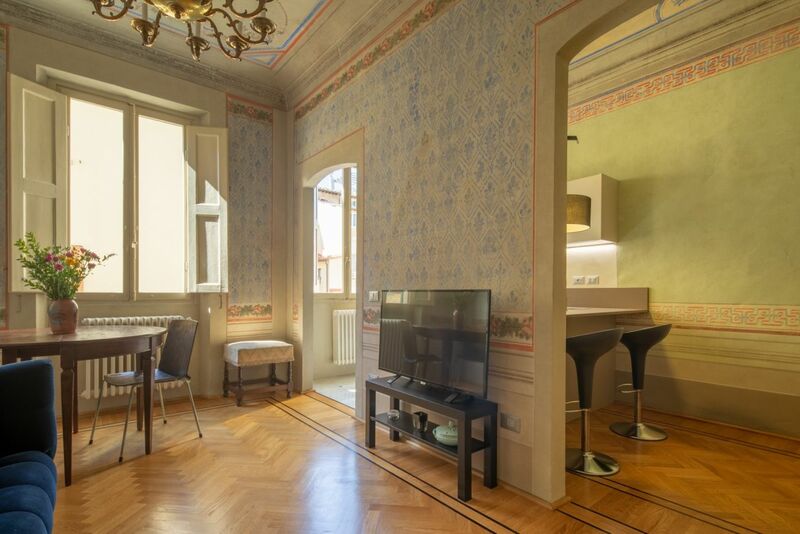 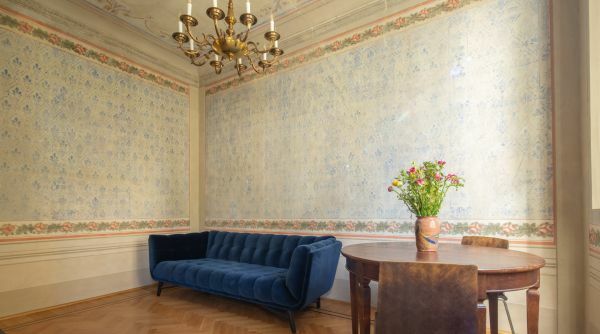 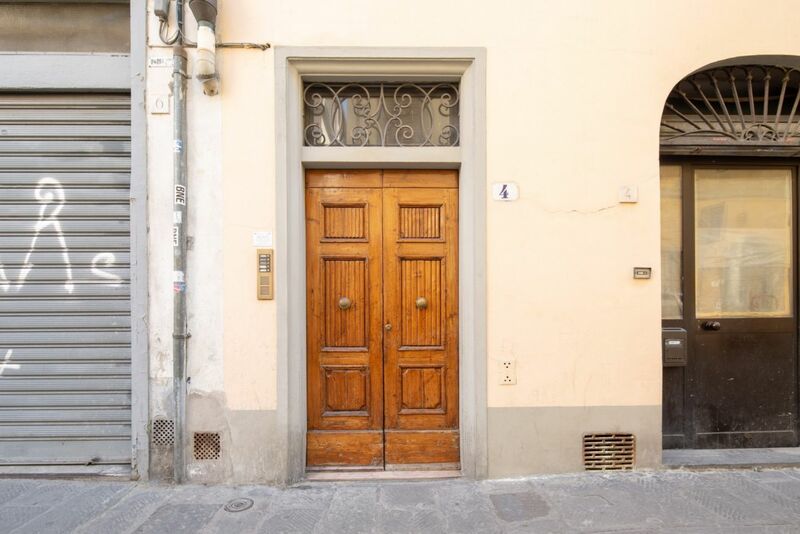 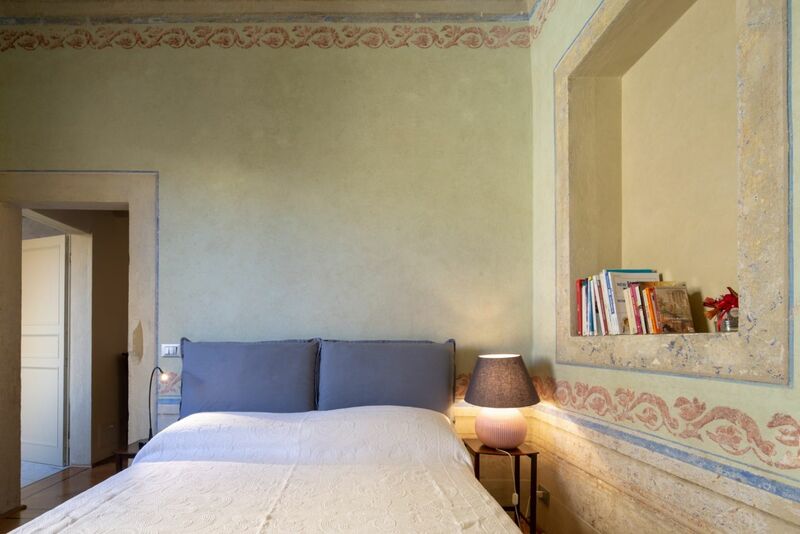 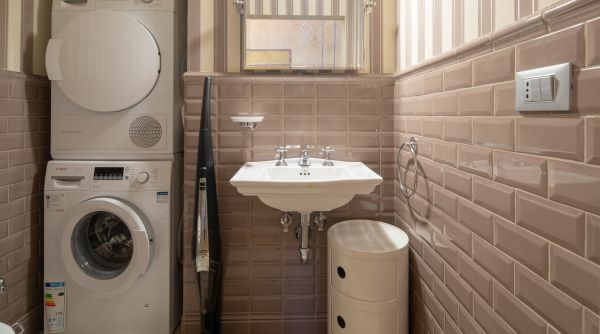 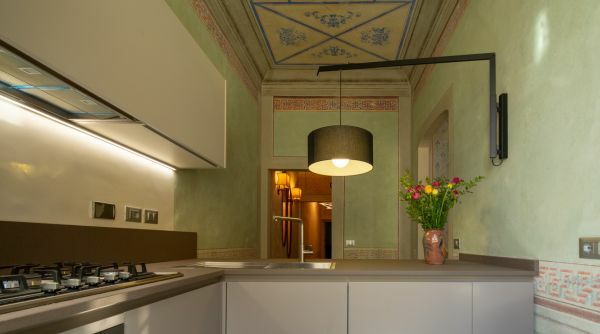 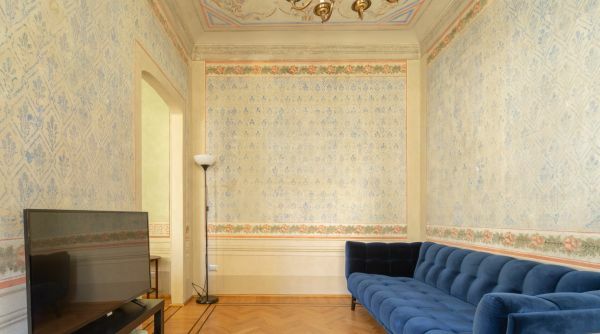 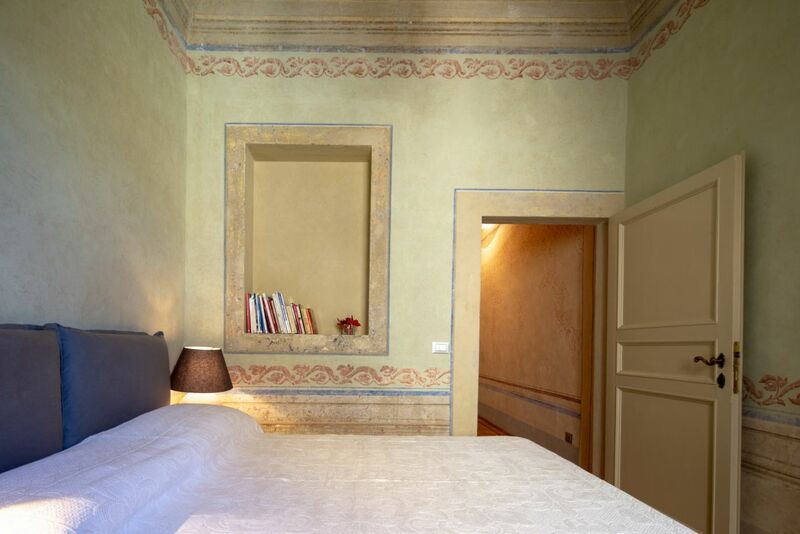 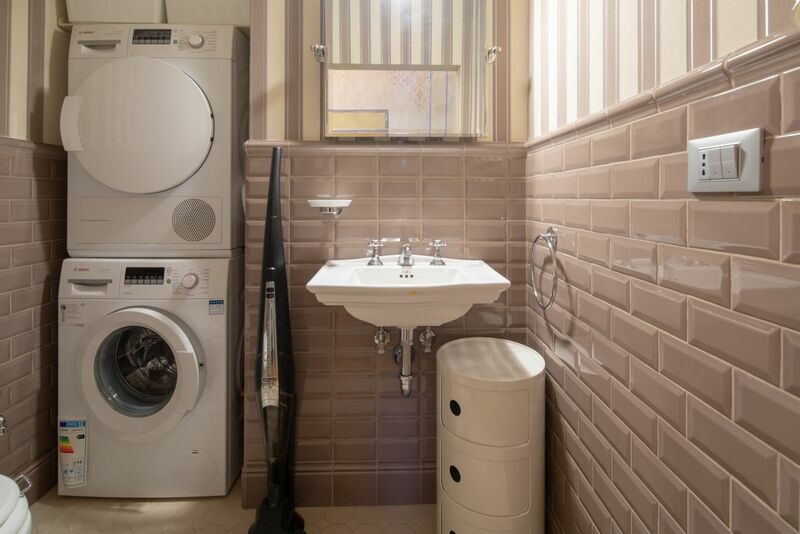 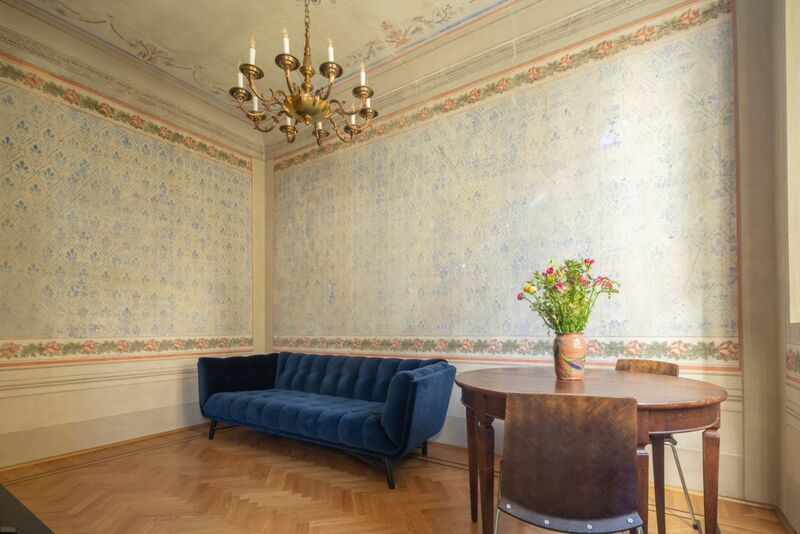 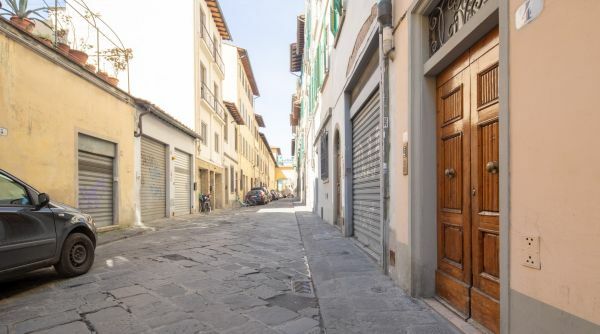 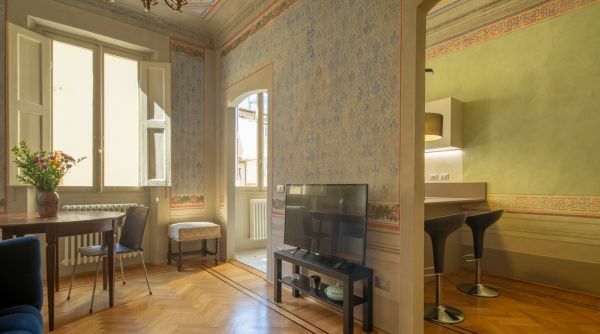 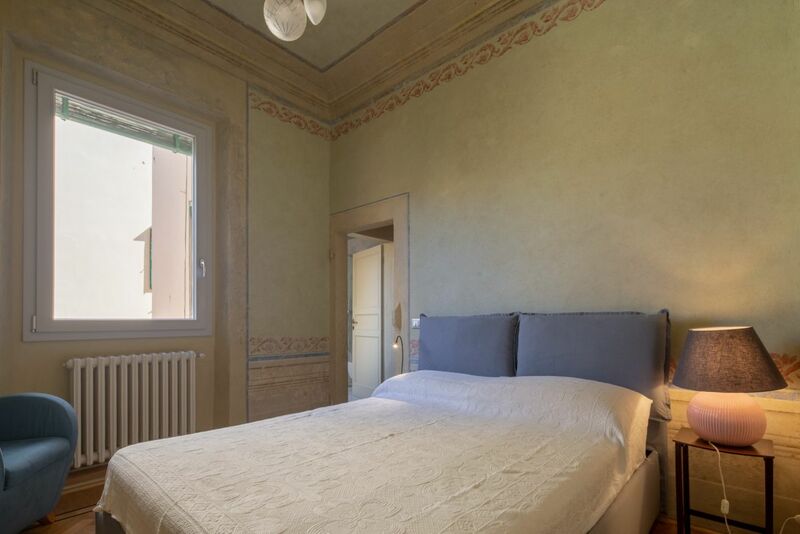 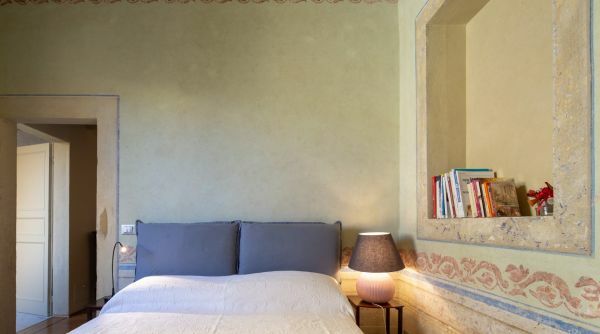 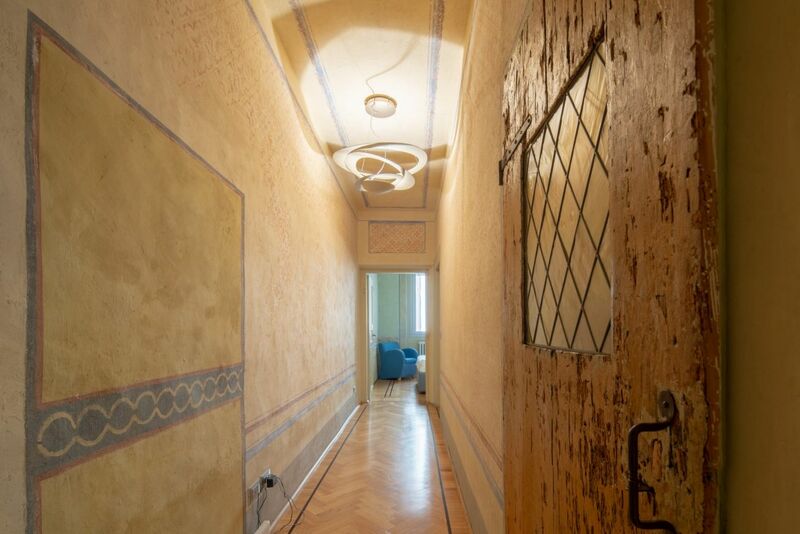 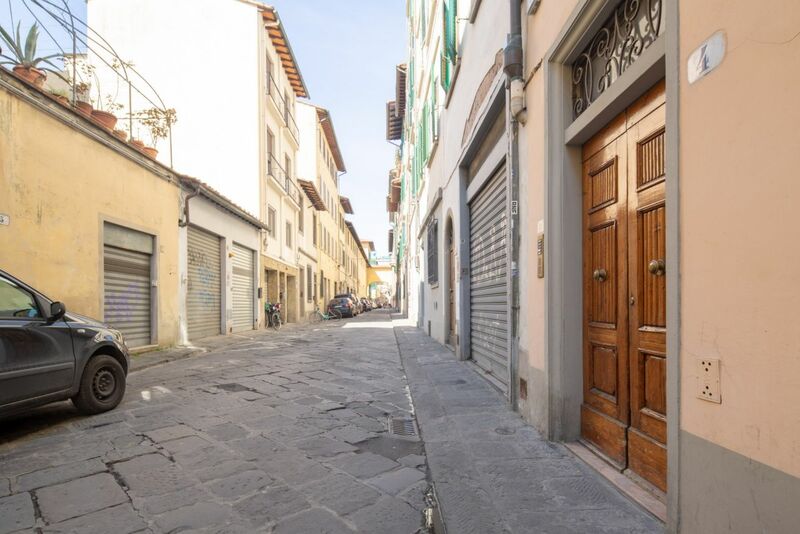 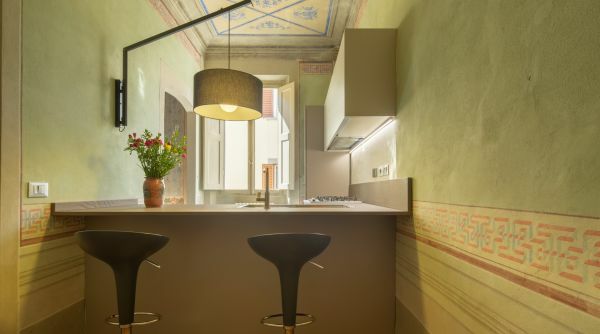 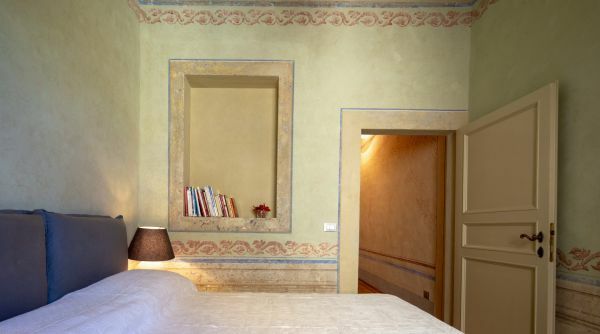 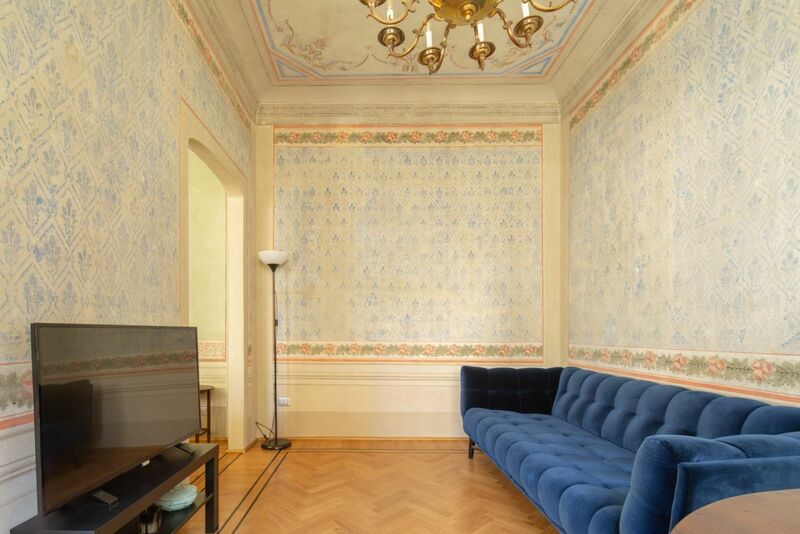 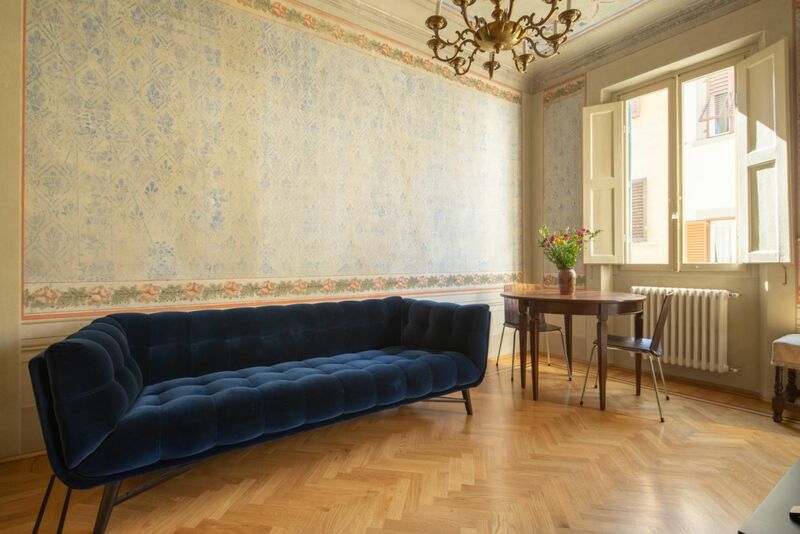 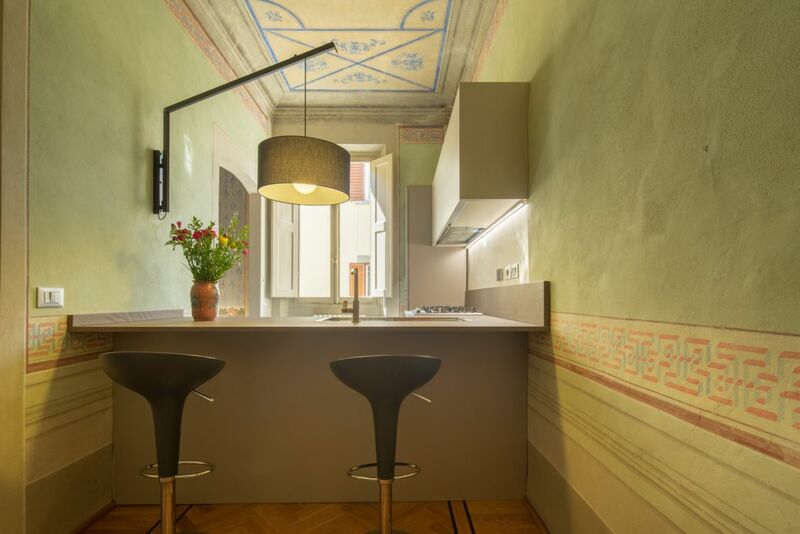 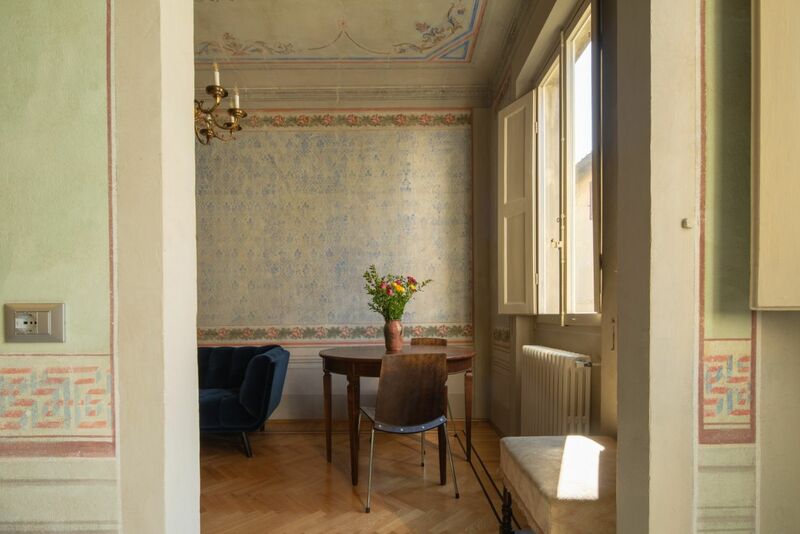 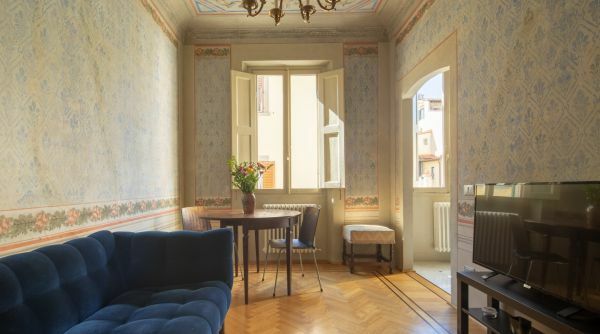 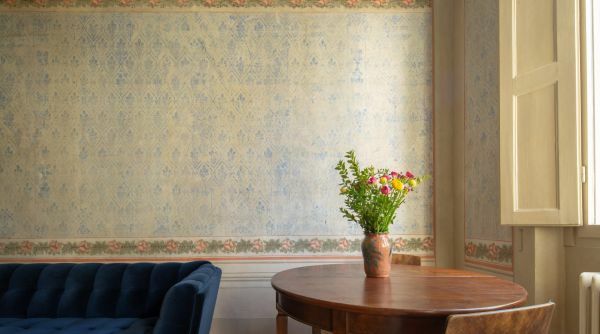 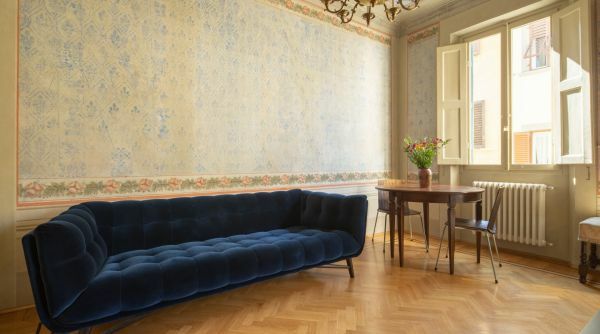 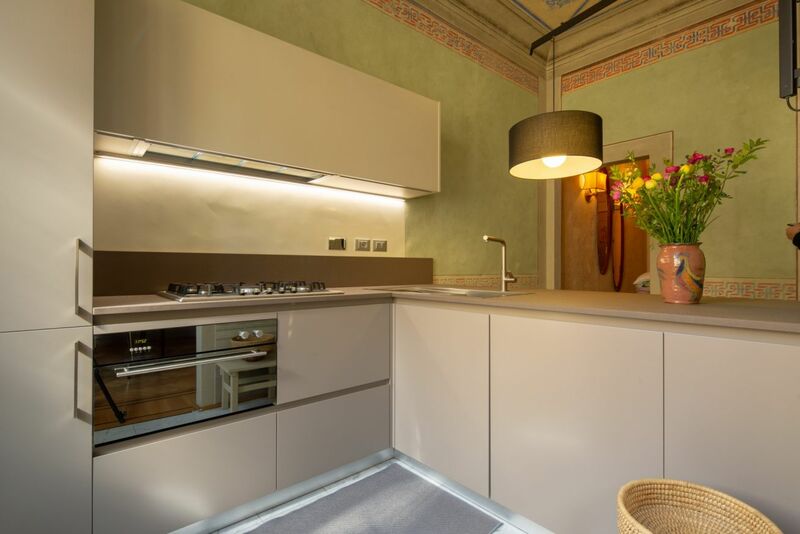 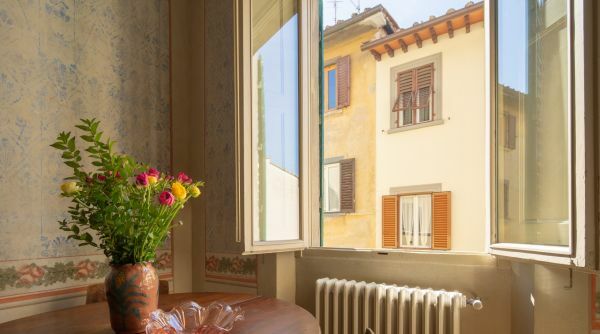 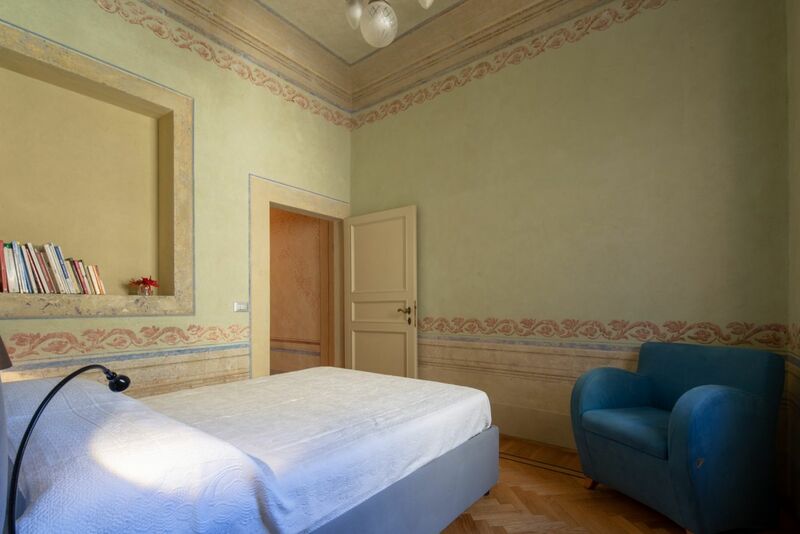 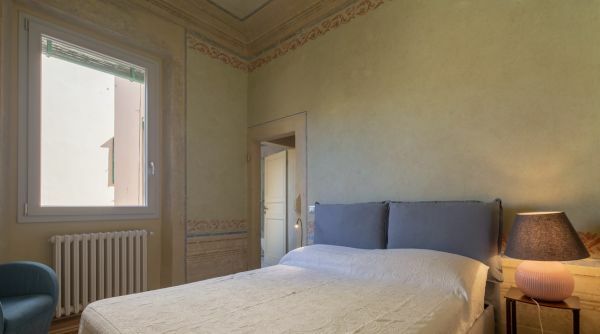 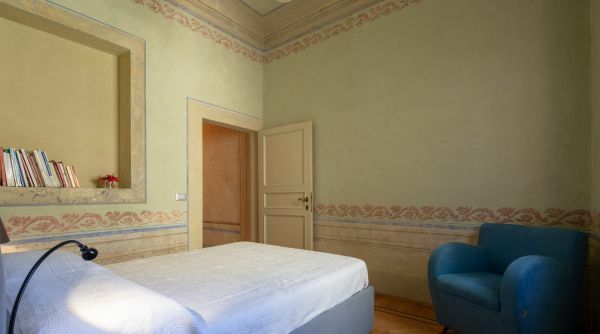 This is the ideal apartment for your romantic getaway in Florence, a delightful house located in a quiet street in the heart of the historic center, very close to many monuments in an area well served by public transport. 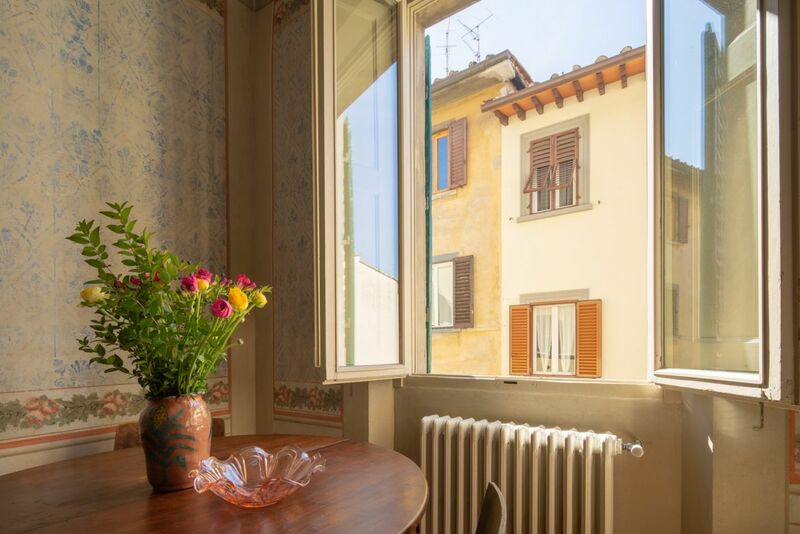 From Florence Central Station, you can take a bus such as the 6 or the 14 Alternatively, near the station you can take a taxi.